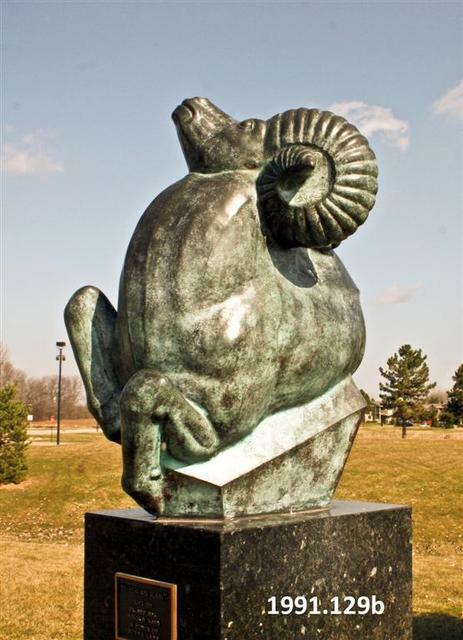 Fredericks first made the Siberian Ram in 1941, but the first documented bronze cast was not installed until 1966, when a 24 inch tall sculpture was placed in the rose garden of the Henry Ford estate in Dearborn. Fredericks carved a Siberian Ram in limestone on commission for the Birmingham Bloomfield Bank and that 30 inch tall stone sculpture was donated to the Baldwin Public Library in Birmingham where it was installed in 1972. 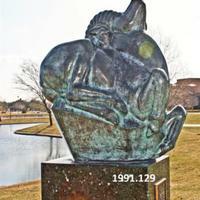 In the late 1980s, Fredericks made molds from that sculpture and cast bronzes for his personal collection and for the Museum (#55). He created the 9 inch tall reduction in the mid 1990s. 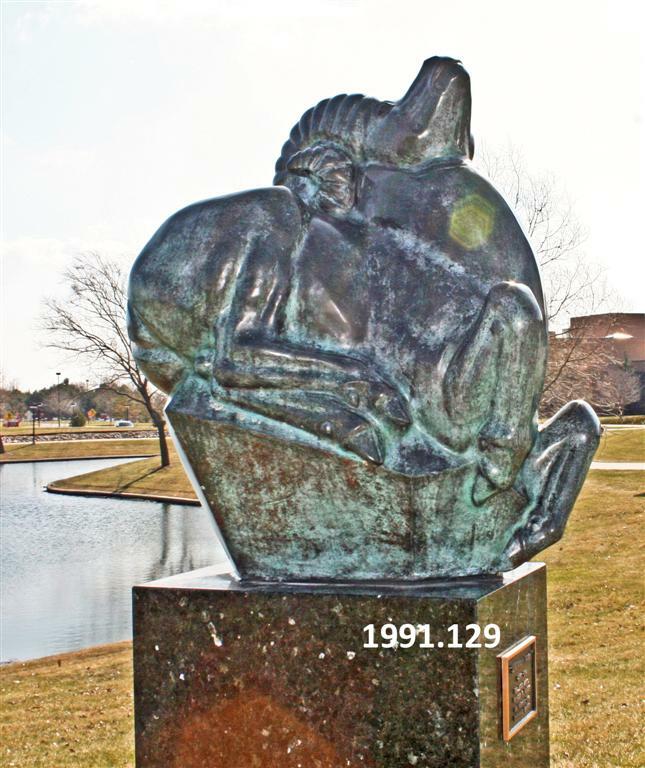 32" x 23" x 28"
Fredericks, Marshall M., 1908-1998, “Siberian Ram [Bronze],” Marshall M. Fredericks Sculpture Museum, accessed April 21, 2019, http://omeka.svsu.edu/items/show/5169.